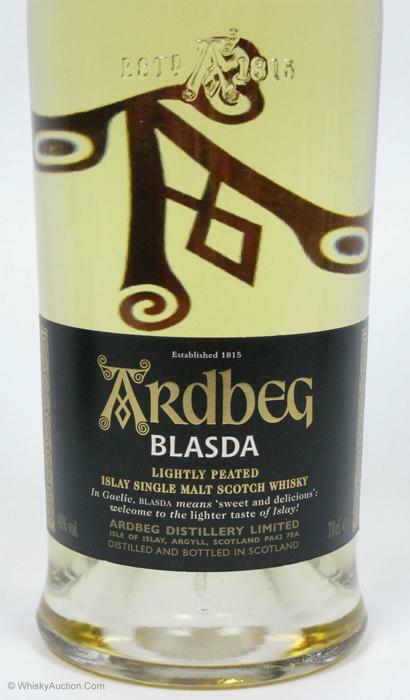 The Ardbeg Blasda was first released in October 2008 to the UK and EU markets. It was introduced in Japan, Canada, Australia and New Zealand shortly thereafter, and if anyone from the Canadian, New Zealand or Australian markets have any pictures that are different than those represented here, we would greatly appreciate your input on the CONTACT page. 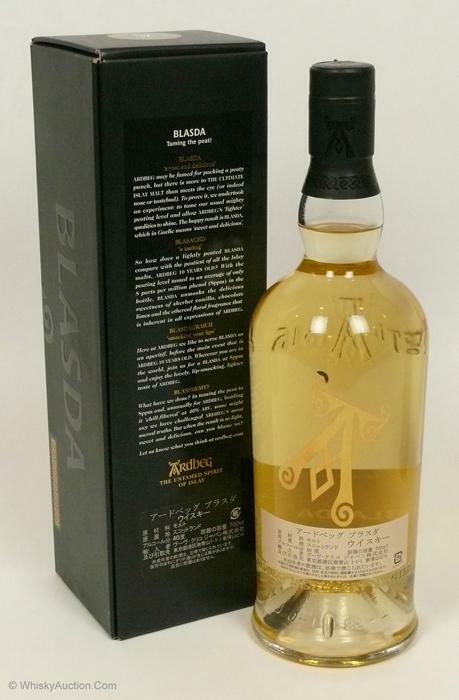 Shortly after Blasda was launched, reports were seen on the web stating that only 1800 bottles were released. 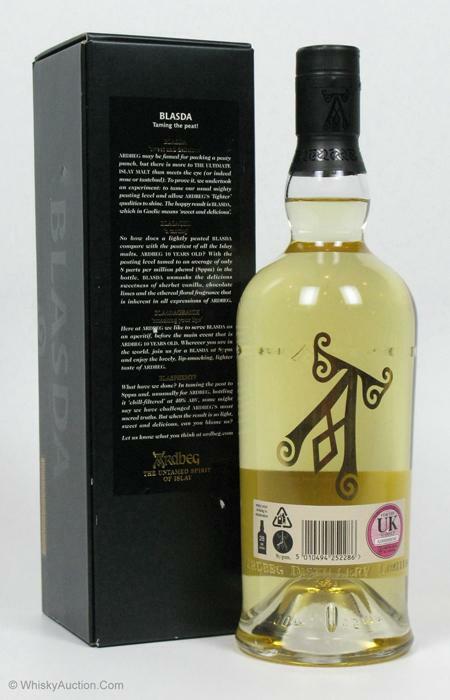 This was also seen on The Whisky Exchange, but TWE reports 1800 for the UK. I have wondered if the "1800 for UK" was just for the initial release, and that there have been subsequent deliveries, above and beyond the "1800". 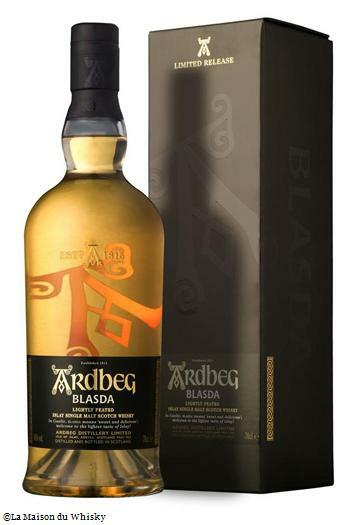 UPDATE: Subsequent bottle code discoveries have proven this bottle was released from 2008-2010, which makes this more of a market (most markets except US) specific release. 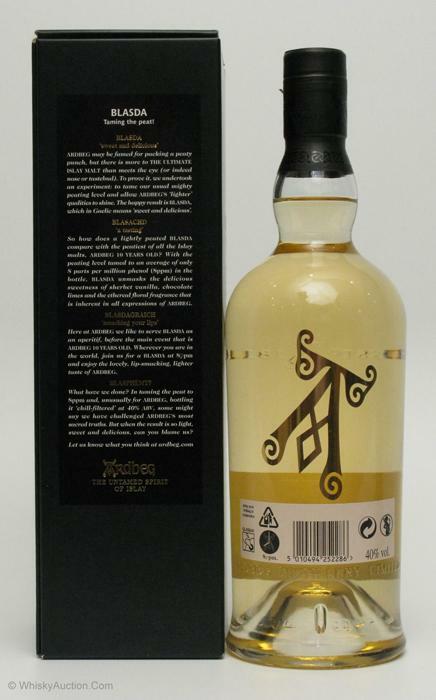 Front Label (same on UK, EU and Japan). Bottle Codes for Blasda, including any other Expressions bottled on the same day or within hours of Blasda.